This property has sold, thank you for your interest. A unique property without replica situated on the “Golden Mile”. Architect designed with contemporary lines with a touch of colonial yet well proportioned for luxurious and comfortable living with excellent indoor/outdoor flow. Robust volume here of approx. 320 sqm incorporating a self-contained cottage and triple car garaging. The floor plan includes three bedrooms, large study and three bathrooms. A central gallery with a light well to the ceiling would feature art to advantage. 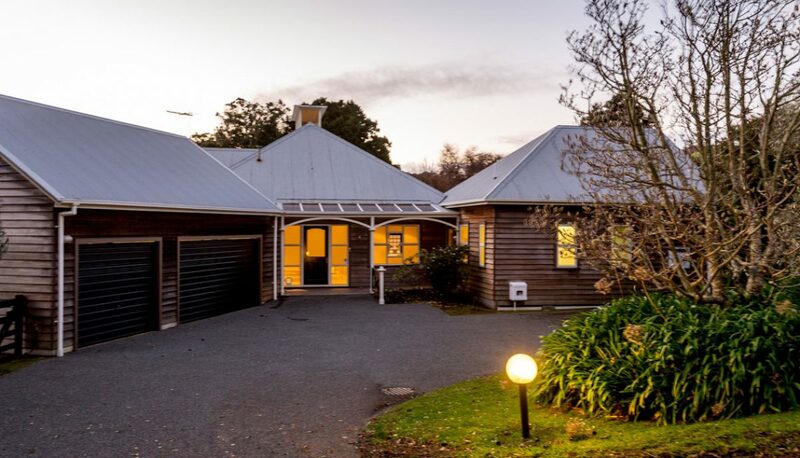 Sited on 7796sqm including a magnificent stand of covenanted native bush. Frankly this property with privacy, long rural views and careful positioning for maximum sun has it all. Redecorated with care to a very high standard.